Our Saturday was spent cleaning and rearranging our new home. If you’ve moved from one house to another, you’d know how exhausting this is! We felt so tired by the end of the day (and our “moving in” isn’t even done yet! ), that we just had to treat ourselves to a really good dinner. Instead of cooking, we decided to try the nearest restaurant to our home: ISAW Haus. I’ve passed by that restaurant a hundred times before, always seeing a huge crowd coming in, but never getting the chance to try it out. I thought they only sell isaw–obviously because of the name–and I don’t eat that kind of food, so I never really interested in the place. That’s until Daddy A told me that they sell really good grilled food. Before heading to the place, I asked him if it’s okay to bring The Princess with us (since she went with us to fix the house). I heard it’s a drinking place, too, so I was concerned about that. Daddy A said we can check it out then we’ll decide whether to eat there or not. I initially thought that it was just a two-floor building. But, as soon as we entered the vicinity to park, it was super big pala! They have this open area (the one I usually see from the road) and they also have huts at the back for bigger groups. There were a few groups having drinks, but it wasn’t something to be concerned about. But, what got us to stay is the car wash inside (Autocare Wash)! Blaze, as we call our car, hasn’t had a good wash for months so we agreed to take him in for a bath while we ate. Daddy A and I ordered a plate of Chicken Barbecue with Rice (P95/meal) each while The Princess requested for a stick of Pork Barbecue (P23/stick). I apologize because I wasn’t able to take photos of our food *not meant to be a food blogger* 😀 Dahil sa sobrang gutom kasi, nag dig in na kami agad. Anyway… It’s very affordable, right? In fairness, their grilled dishes are very good! 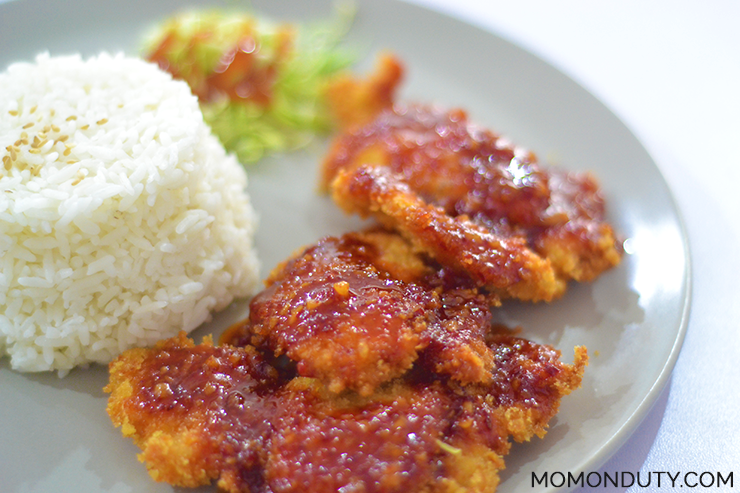 Affordable + Yummy = No wonder a lot of people are going there and lining up just to have a meal! And because it’s just a few minutes’ walk from our house, this is definitely going to be our new go-to restaurant on days we don’t feel like cooking. Ang maganda pa dyan, they offer delivery services (Call 661-2913)! 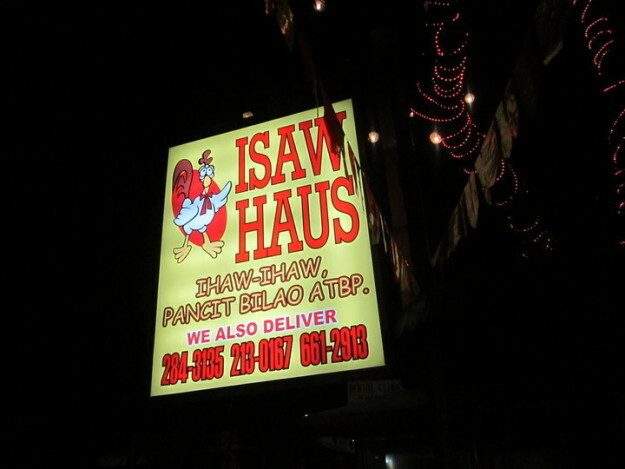 If you live nearby, give ISAW Haus a try!